A consortium of researchers from the University of California, San Francisco (UCSF), Rutgers University, Massachusetts General Hospital, the University of Florida, and Yale School of Medicine used whole-exome sequencing (WES) and de novo variant detection to explore the genetics underlying Tourette syndrome, a neurological condition characterized by vocal and physical tics. 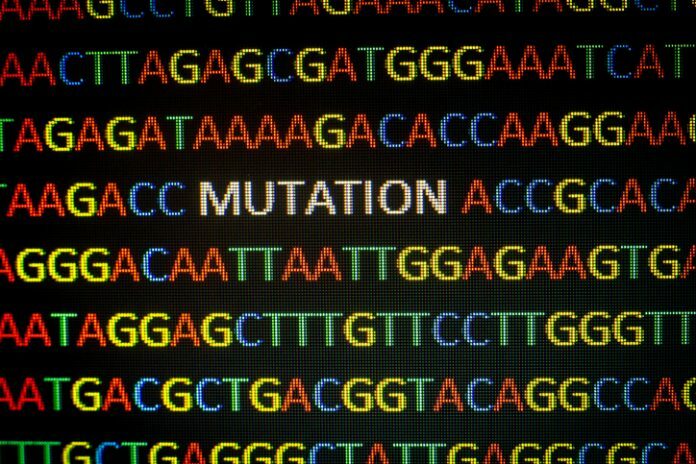 Following an approach that has been used to study the genetic causes of autism, the consortium found that Tourette syndrome, like autism, is the result of multiple gene mutations. About 400 risk genes were identified in the consortium’s study, which focused on de novo variants, rare genetic mutations that are not inherited from parents, but rather occur spontaneously at conception. Of the 400 risk genes, four looked particularly disruptive. One gene that is considered particularly “high risk” is WWC1, also called KIBRA (for “KIdney- and BRAin-expressed protein). This gene, which is involved in brain development, memory, and the brain's response to the hormone estrogen, appears to have a greater than 90% probability of contributing to Tourette syndrome. The three other high-risk genes were flagged as having at least 70% probability of contributing to the disorder. Of these, two—FN1 and CELSR3—are also known to be involved in the development of brain circuitry. The third probable risk gene, called NIPBL, or Delangin, is involved in regulation of gene expression in the brain, and has previously been associated with the developmental disorder Cornelia de Lange syndrome, as well as anxiety, obsessive-compulsive disorder, and attention-deficit/hyperactivity disorder in humans. Additional details appeared May 3 in the journal Neuron, in an article entitled “De Novo Coding Variants Are Strongly Associated with Tourette Disorder.” The authors of the Neuron article said they hope that their findings will help uncover the genetic and brain pathways that cause the disorder and enable the development of more effective treatments. As in autism research that had been conducted earlier, the current study compared the protein-coding regions of the genomes of children with Tourette disorder to the genomes of their parents to identify de novo variants. Such variants often have stronger biological effects than inherited variants passed from generation to generation, said Jeremy Willsey, Ph.D., an assistant professor of psychiatry at UCSF and co-lead author of the new paper. The authors anticipate that future studies of de novo variants in a larger number of families affected by Tourette disorder will result in dozens more promising genetic leads, just as researchers have been able to generate for autism spectrum disorders. Those findings are driving an explosion in research into the biology of autism that was not possible before the identification of these molecular clues.